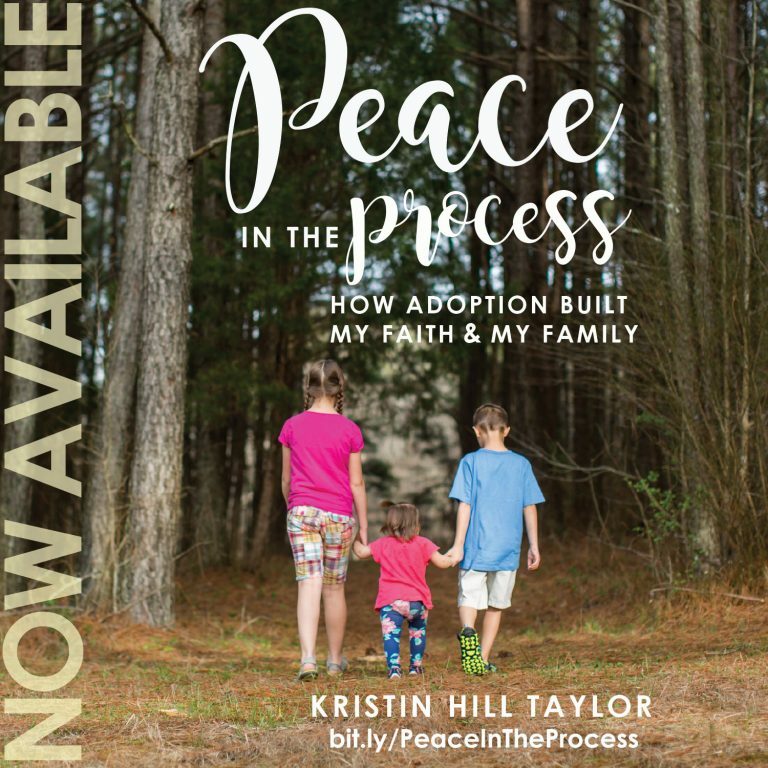 I came home one Saturday afternoon from spending much of the day with other adoptive moms and “The Mother Letters” was waiting on my door step. 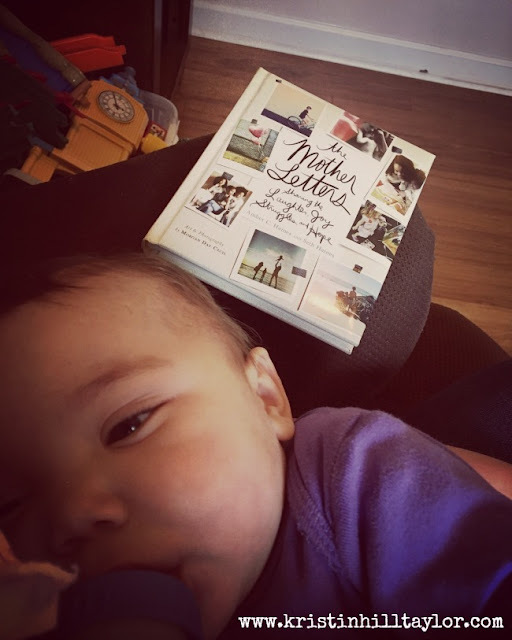 Soon after, I sat down to feed Rachel and started reading these letters from other moms that author Seth Haines collected for his wife, Amber. Long after my baby finished her bottle, I was still reading. I read all the stories without stopping to do anything else beyond pulling Rachel, who has recently started crawling, from pulling down the curtains. That’s how motherhood is, you know. Yes, there are tiny interruptions to all of our days, but mothering matters and we aren’t in this life alone. That’s the message of this collection of stories. Moms get each other, and these words from strangers echo many things I’ve experienced in my own life. There’s laughter and hurt and joy and play dates and seasons and tears and siblings and waiting and peace and purpose and crazy days. And there are tales of raising little people while developing your own community along the way. This book offered perspective and hope. It’s bound up wisdom from all kinds of mothers. My two favorite quotes, at least while reading The Mother Letters the first time through, are about purpose – yes, purpose as a mom, but also the purpose that extends beyond that. These mother letters spurred me on in truth. They welcomed me in with their everyday stories and kept me nodding in agreement. They reminded me of what matters and helped me recognize what I do well and what I want to do better. And what momma doesn’t want that in her life? ABOUT THE BOOK :: After his wife Amber had given birth to three boys in three years, Seth Haines saw she needed encouragement in the day-to-day drama and details of motherhood. Secretly collecting nearly 600 wise, honest, and sometimes hilarious letters from other mothers across the world, Seth compiled these “mother letters” as a gift for her. Amber and Seth have chosen the best of those letters to include in a beautiful book perfect for the mother in your life. “The Mother Letters” is a 192-page hardcover cover book published by Revell (April 19, 2016). 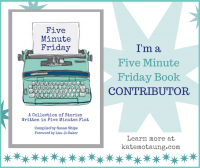 Learn more about the book at Amber’s website. 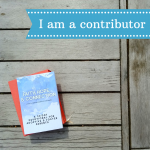 ABOUT THE AUTHORS :: Amber C. Haines, author of “Wild in the Hollow,” is a soulful writer and blogger at TheRunaMuck.com and a regular contributor to DaySpring’s (in)courage. She loves the church and finds community among the broken. Seth Haines, author of “Coming Clean,” writes at SethHaines.com and is a regular contributor to various publications. Together, Seth and Amber make their home in the Arkansas Ozarks with their four boys. Mother’s Day is coming up in less than two weeks and this book that released last week would make a lovely gift. It’s available at Amazon and other booksellers. While I received a free copy of this book from Revell to review, these opinions, thoughts and the gift recommendation are my own.